KFC has brought brand icon Colonel Harland Sanders back to UK TV for the first time in over 40 years, in a major ad campaign marking the end of its chicken shortage crisis. 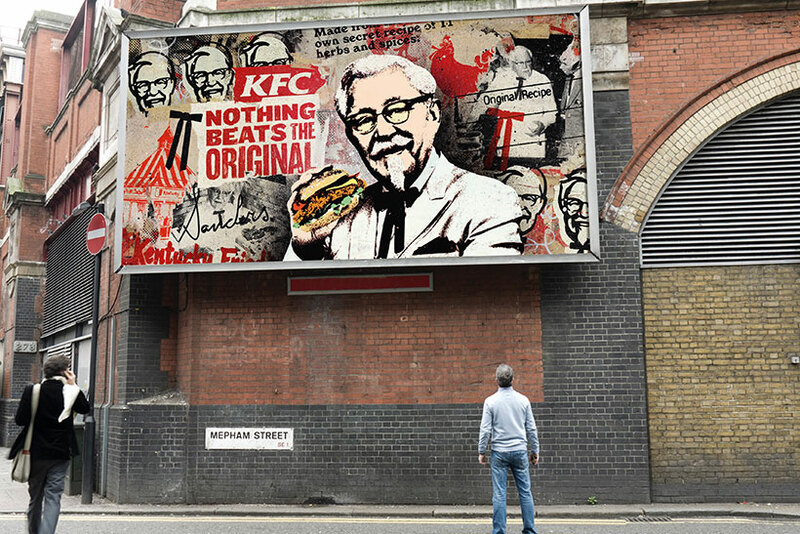 The return of the Colonel, who founded KFC before becoming the brand mascot, symbolises the fast-food chain’s restored strength after a disruption with its chicken supplier shut down stores across the UK earlier this year. A TV ad by Mother will debut tonight during ITV’s Britain’s Got Talent and BT Sport’s Uefa Champions League Final coverage. The spot references the crisis with news footage from restaurant closures, while using archival clips of the Colonel and showing him make a dramatic entrance. Directed by Radical Friend through Partizan, the ad features the founder’s own words about determination in the face of challenges: "My philosophy – don’t quit. Even in tough times, I’d always give the best there was in me. And you’ll always get the best in return." Along with the film, the campaign will include press advertising that celebrates the Colonel’s grit, highlighting that it took 1,009 attempts to perfect his chicken recipe. Outdoor ads depicting artwork of the mascot were created with American artist Greg Gossel, who specialises in screen-printing and collage of pop culture subjects. Documentary-style content on social media will explore the Colonel’s backstory. 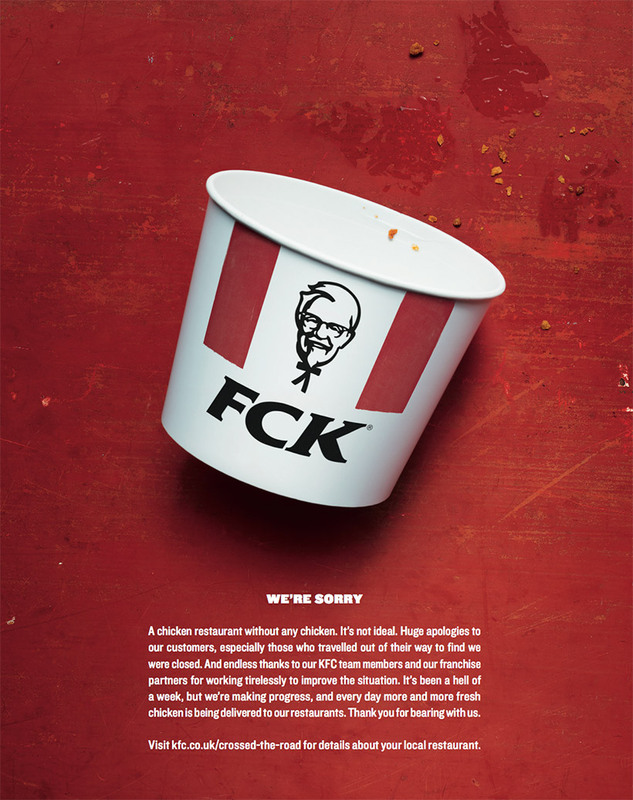 During the chicken crisis KFC ran a print ad apologising to customers, with the letters of its name rearranged to spell "FCK." This new campaign takes a similar approach by acknowledging the brand’s trouble with a sense of humour and attitude. 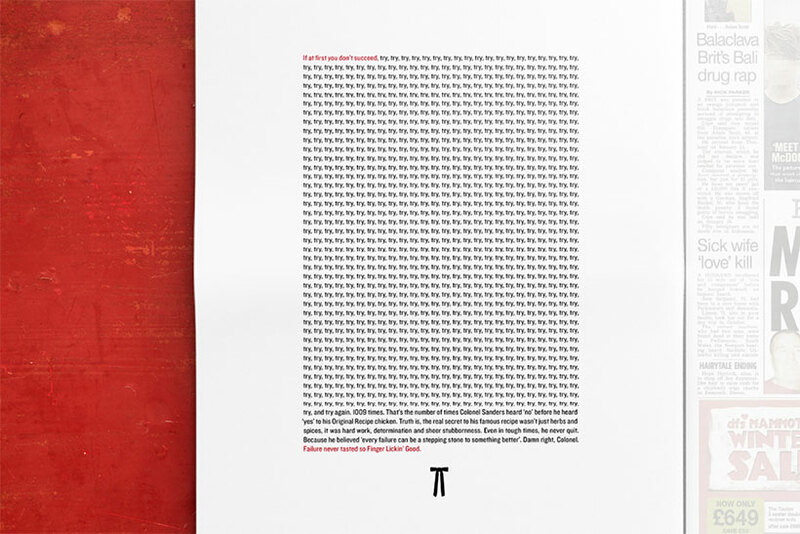 The "FCK" ad won three Pencils at the D&AD Awards this year. Meghan Farren, the chief marketing officer for KFC UK and Ireland, said: "The Colonel’s back, and it’s about time too. We went through a tricky spell earlier this year, but his values, his philosophy and ultimately his recipe got us all through it. We’re glad to be back."